- Beat - like old time lowdown ! I"m hep ( being Canadian), good morning, Meghan. And the answer song. Nice. On the TV: Ronald Reagan for General Electric. Oh, boy, what a denouement. But he was into The Kingston Trio, real gone man. The live version is over 15 minutes long! Better save the live version for a DJ "emergency"
pony up those toonz ! Open up a coupla Contac pills and snort'em up. It feels pretty weird. You'll feel them rolling around in your sinuses. Music by and for the Nyquil Generation. Or what's the stuff that everybody's making meth out of ? - ephedrine. Sinus-med generation - for real. Hi, Meghan and Guido. I'm feeling a little bad right now, 'cause I'm only on the comment board. I've recently got the new Peter Evans album and I'm giving it a try before going to the FMUland. I'm cheating on WFMU listener stats. - missed the Premier last night doca - but I know it's there ! On Underwater Theme Park nobody knows you have no pants on. I have pants on and I can prove it: I am at the office, and we have a clothing-mandatory policy. ...& I am a ♏Scorpio ! @Meghan: yes, it's brand new, but I've got hooked pretty fast. If you're happy and you know it, drop your pants ! Bend over and crack a smile! I read a statistic that 87% of all UwTP listeners wear Hello, Kitty underwear. I've seen the crack of Dawn. Meghan - do you need a garden hose? Meghan is currently 23% snot, by volume. The Afrca-Cover is CLASSY, STYLISH and everything! - is that down ? Your design for my CD was excellent ! Wasn't their a band called Horse Feathers? - & it's Year of the Horse on the 31st yerknow ! hopefully stuff no one knows at WFMU. Guido.... I look forward to it! And, YES, I eat lots of PORK FAT! - just front and back for cardbord? - or jewel-case tray + booklet? - can you handle high-resolution JPGs? (300 dpi) ? for being a cynical man.... he is often right! OK, I will see how fast I can do it. clicky-star thice nice Garage track. I keep expecting him to have a heartattack in midst of a rant! "Groovy" always made me squirm. It reminded me of a buttcrack. As opposed to the "Did you ever notice?" school of comedy? Yes, splenetic beats milquetoast every time. Ah! Was wondering if Patti's version made the cut! Funnest show ever! You're "generatin" steam heat! Good morning Torru and Will! @Torru: one of the great trips of my life, Barcelona. Snowflake AND Gaudi, and the food! Hi Meghan and everyone - love covers that improve on the original! The subtitles on the mp3 stream aren't working. I don't understand what they're singing. I need subtitles! @Sem Chumbo: I'm sure! Maybe I will come to NY on March-April. I'll will say the same about NY I guess!. Well, no. Food is better here. haha. The high-energy Canadian indigenous DJ-sampling-rap crew A Tribe Called Red do "General Generations". Not sure what that means, but they do it... Enjoying Koffi Olomide! Is this the Dave Generation? ... no Goliath in here? I cut his head off! ... somehow fits the atmosphere over here @ work. There has to be a genre called davesploitation flicks. sure sounds like it ! my excitement got away from me. crazy horses by the osmonds. my request. - got it glenn ! also spookin' the horses by fred eaglesmith. Problems ? 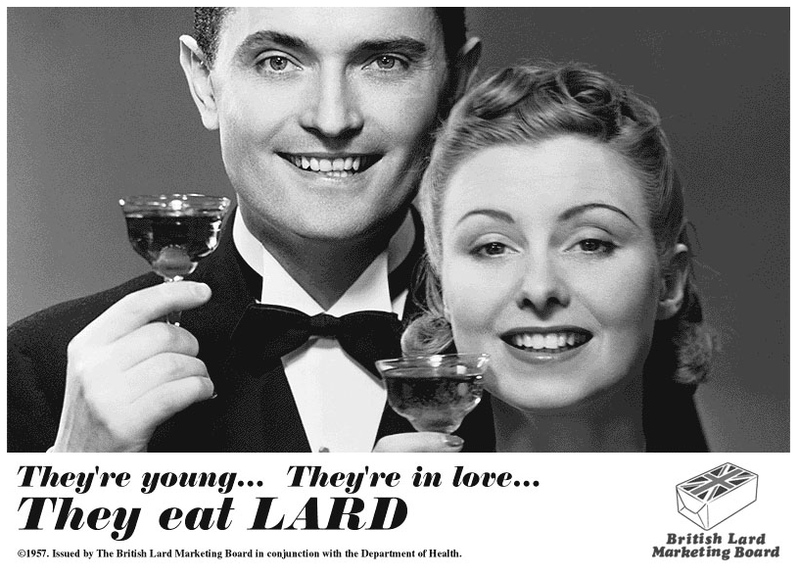 Rub lard on them. Jello Biafra and his long-lost cousin Lardo Lesotho ? Sick of It All! Man, haven't listened to them in a long time! Work conference call has started. Good thing the phone has a mute button. hahaha.... yeah try explaining what music is coming through on the conference call! Yep, "Someone has a jackhammer going in the background. Please put your phone on mute." it's still the best thing for baking. Who sets the definitions of Generations anyway? Bacon is just a lard delivery system. we used to say we were generation "why not?" ... or stewing cabbage ... as long as you're no vegetarian. I got some bacon-flavor jelly beans for Christmas. They are NASTY. The Voivod generation will be tuning in at noon today. @FVH: the secret ingredient in Tim Horton's do-nuts. And the coffee, maybe. ... we were "Null Bock"-generation, followed by "Generation Golf". First meant "No interest in anything generation"
Second refered to a small VolksWagen any late teenager seemed to be able to effort in late 80ies. woke up to the smell of my wife frying bacon this morning. Hooray for archives! I'll get back to this show tonight. Looks like a good one! What's the secret word for next week? cigarette smoke is the secret ingredient in timmie's coffee. Beating on dead horses for next week. @glenn:Stealth fast food, I hate that. Buffalo bus station got a Tim Horton's. Awesome. I'd call you a sadistic animalistic necrophile. But that's beating a dead horse. YOu win the Horse thing by a nose, FVH. ...? - I say neigh. Wait, where was the second part of the Toyah thingy that Julie mentioned again...?